Save 37%-46% on our winter tire and wheel packages, and drive with confidence this winter. Drive with confidence this winter. Save now. Save 37-46% on 2018-2019 Pre-mounted Winter Tire and Wheel Packages. Limited quantities available. Price includes mounting and balancing. Taxes and installation not included. Visit us in-person for details or call our parts department at (613) 737-7827. We have lowered our wholesale prices, not our quality. Genuine Remanufactured Parts are the real thing: factory original components that have been expertly restored to their original manufacturer specifications. *Ask us for details. 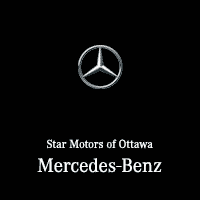 Visit us today or call Parts at (613) 737-7827 .